I've been looking at the options for brake upgrades for a while now on my 04 wrx. Not so long ago an ad caught my eye for K Sports, I think it was 600 squid for a set of 6 pot calipers and discs. Now to me that sounds pretty cheap, well compared with AP's anyway! So does anyone hear of any good or bad things about these?? Yeah if I get them I'll be sure to go for the larger discs, they do sound like a good buy! have you not got gold brembos already, as they are good calipers?? No fella, its only a wrx so standard subaru calipers. I looked in to getting a brembo setup on it but the cost changed my mind!?! 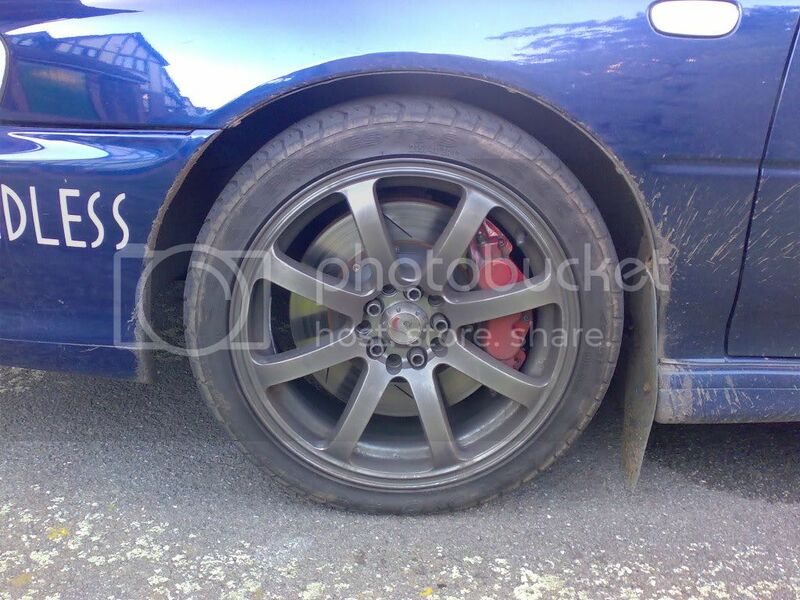 Ask Tidgy what setup he got for his car, as he's had bigger calipers. \it's probably a case of not how 'big' or how many pistons the caliper has but just the quality. K-Sport do seem popular though. another option is a Godspeed setup - Subaru Impreza 335mm Brake Upgrade Kit - Using Mintex 1144 or Ferodo DS2500 Pads which includes the pads. Although if i was me. i'd be looking for the bigger calipers instead espeically if you have room for the 356mm discs. I'm presuming that you need 18" wheels for that size disc? Yeah I've seen the Godspeed setup, there's also the kit by D2 although I'm not aware of any scooby owner running them? Yeah I think you could be right on 18'' wheels. I'll do a bit more digging around on the K's. Evening Ed! 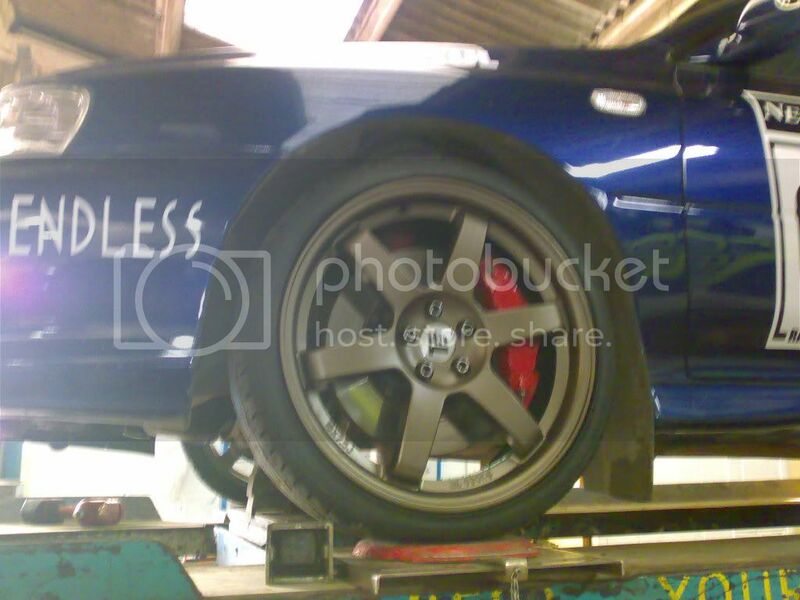 Hmmm 18's......kinda want to say at 17's really so will have to go a little smaller on the disc I think. it wouldn;t surprise me if you could get the 8 pots under 17's, its not normaly the diameter fot he caliper thats the problem, its the offset width. the new 18' wheels i have on my car are actualy a much closer fit than my old 17's. the only issue i've heard about with k sport is the piston seals going.